When I was setting up my January Bullet Journal spreads I knew I wanted to go with a cold winter bujo theme. I was going through my daily December “Countdown to Xmas doodles” and, beyond my normal Christmas doodles, I decided to make a Christmas snowflake for the day. It was such a relaxing doodle to make that I ended up creating a few more snowflake designs in my sketch book. I also had a few requests for drawing snowflakes templates to send to my Happy Doodle Club. It was everything that I need to make more of these awesome snowflakes. So read on to find all 6 of my hand drawn snowflake doodles. 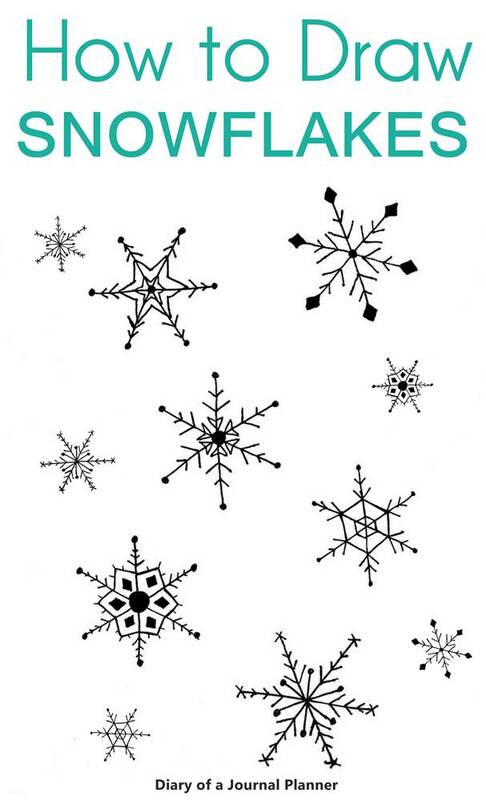 If you want to doodle a snowflake it is important to understand this basic idea: a snowflakes have six sides. All snowflakes contain have either 6 sides or points because the molecules in ice crystals join to one another in a hexagonal structure. Snowflakes are made of water molecules that bond together, when this bond freezes the arrangement forms a particular shape with six points or sides. So if you want to know how to make a snowflake the first thing you really need to remember is to make it with 6 points. To doodle snowflake we will start with lines crossing in the middle to make sure our snowflake has 6 points. But hey, you don’t have to follow a chemistry lesson to doodle, if it is easy for you to doodle making them with 8 sides, I say go for it! My 8 years old daughter saw my doodles and she made her versions, most have 8 sides and I still think they are brilliant! If you want to make symmetrical snowflakes I encourage you to start with 2 lines making an X then another line through the middle to make all six sides symmetrical. You can practice a little before adding the snowflake details. Below I have the tutorials on how to make snowflakes. Love doodles? 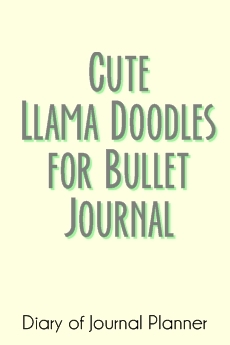 Check out our huge list of step by step doodle tutorials! This is the most simple design. Remember to start with an X and cross the middle of it to create the first step with 6 lines. This is another very simple design, easy straight strokes on each point making different designs. You can play and create your own variation. 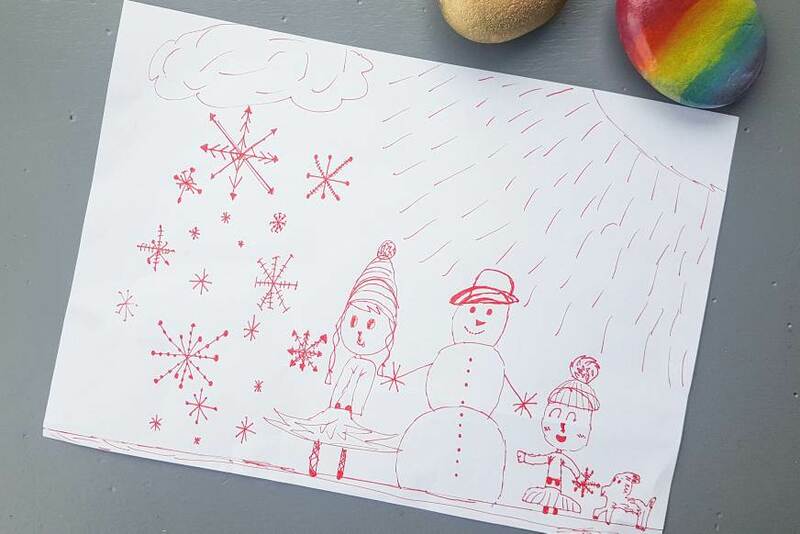 You could have even stopped this snowflake in the second drawing but I added a few more lines to make it look a star. The snowflakes can have 6 points or 6 sides so I added lines to the center to make the sides more prominent. I love how this one turned out using a few extra geometrical shapes. 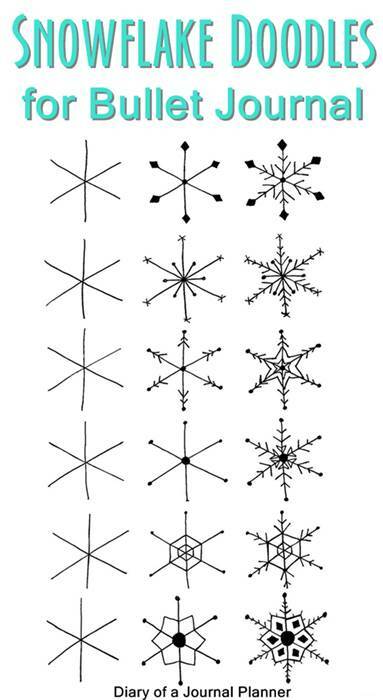 From the first six point lines you can just add random items and it will become a unique snowflake. 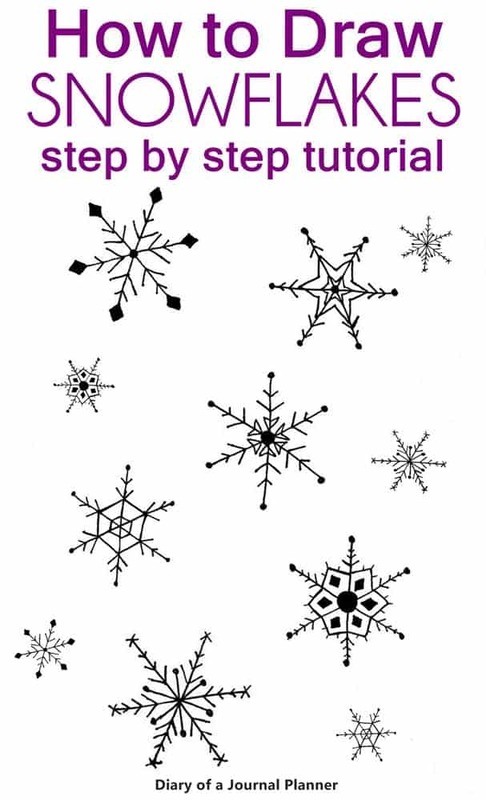 Want to learn how to make cool snowflakes with a pdf template and other cool doodles? 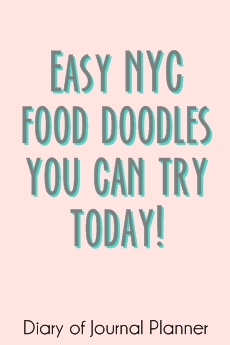 Then subscribe to my Happy Doodle Club! 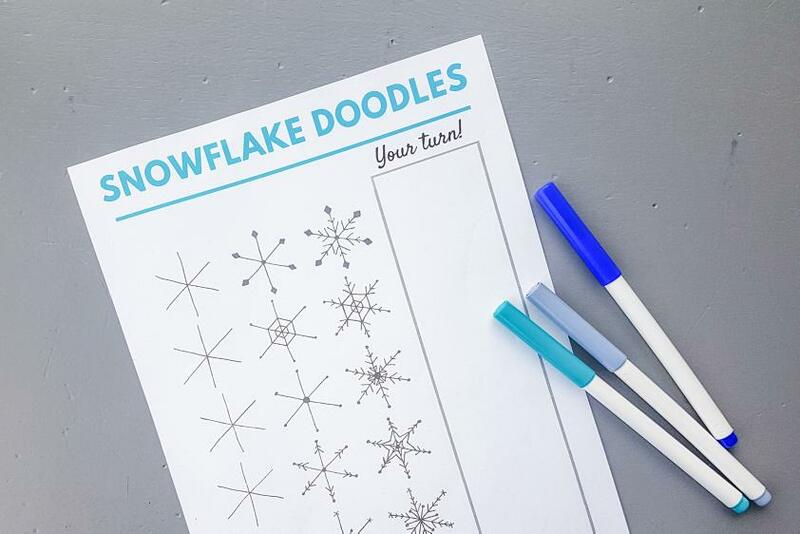 In the club you will have access to this snowflake drawing template and many more amazing doodles. You can then print and practice as much as you want! So tell me, how do you make a snowflake?